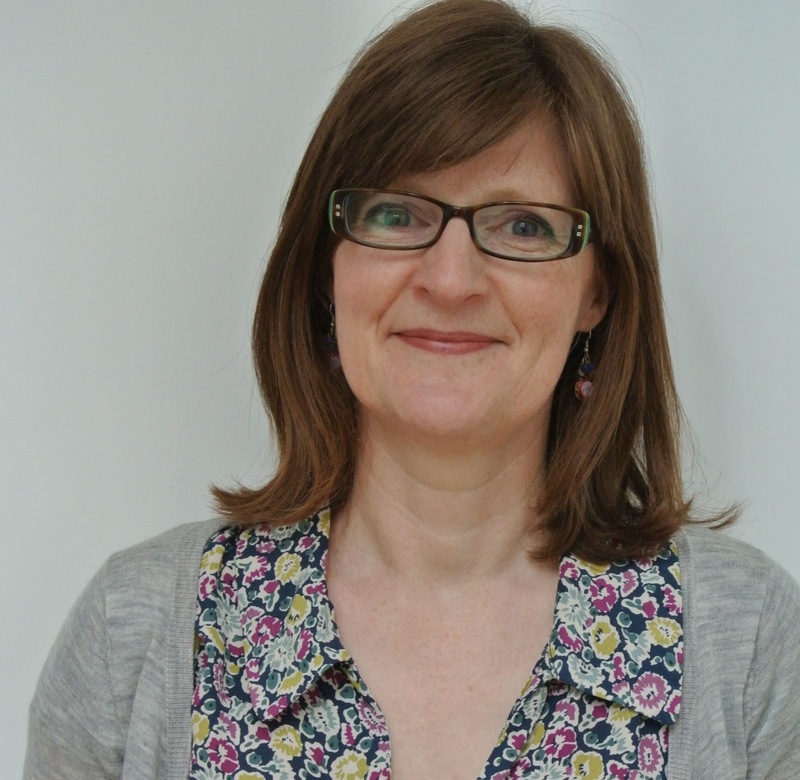 We’re pleased to welcome Janet Clare to Moda. Her line, Hearty Good Wishes, will be in stores in February: in the meantime, you can enjoy getting to know her. Because Janet lives in England, our interview was conducted via email and she kindly provided numerous blog links to illustrate her answers. Be sure to click through and check them out! Tell us about how you got started in quilting and sewing. I have always sewn and knitted (more knitting here and here) and embroidered and drawn and painted and made dresses (I have made a dress from a 1940’s Vogue pattern) and just fiddled constantly (can’t crochet for toffee, though). 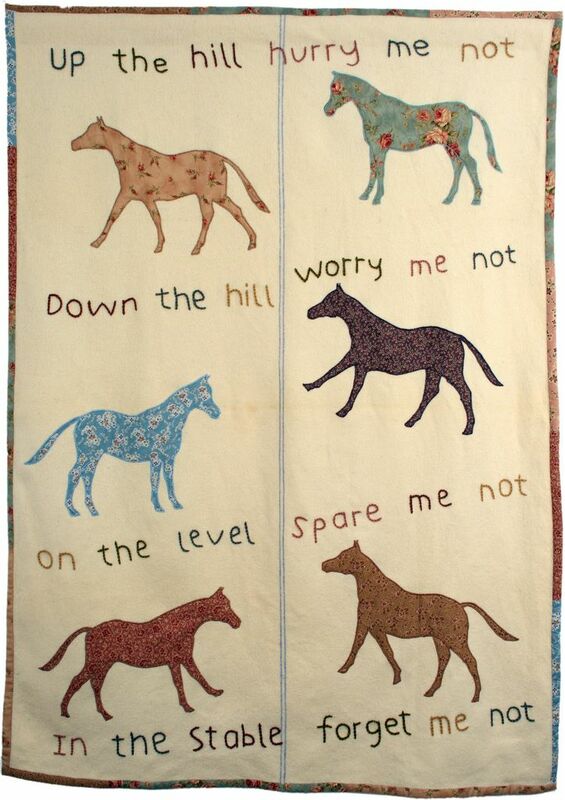 My mum and her mum taught me to sew and knit and my mum taught me to quilt. I have a degree in textiles and fashion, and was a freelance knitwear designer for many years after graduating. I think all the arts and crafts overlap and if you are creative you can have a good try at almost anything. 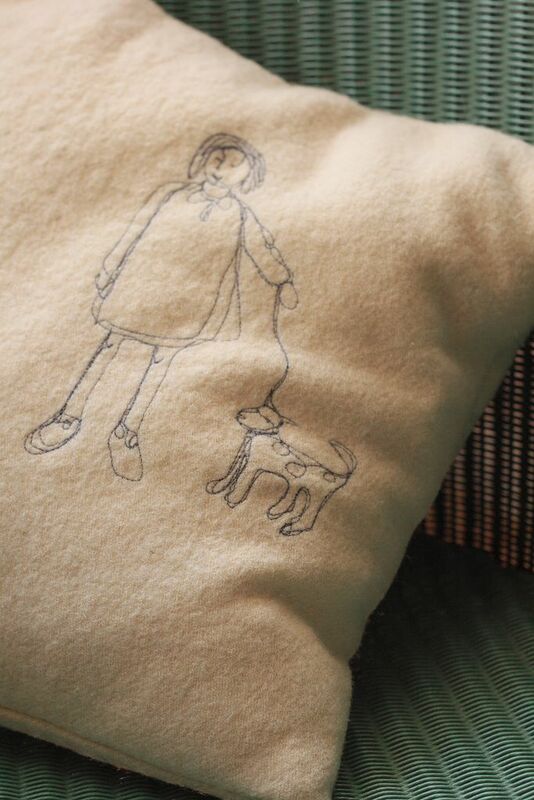 I draw with my sewing machine and writetoo, and tend to hand embroider. 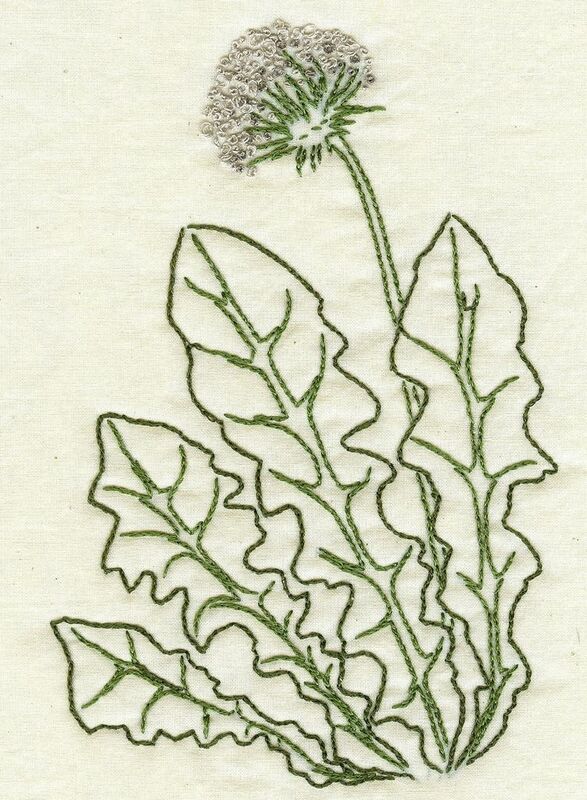 This is an embroidered drawing my son Joe did. I have always drawn and painted and like pottery and dressmaking and baking too. I just try to be creative as much as possible, really. I try to keep a sketchbook and a scrapbook. I also do a lot of mono-printing for each book [Janet’s got two books of designs, available through Etsy]. In fact all the designs for the Hearty Good Wishes fabric line are direct results of my printing. 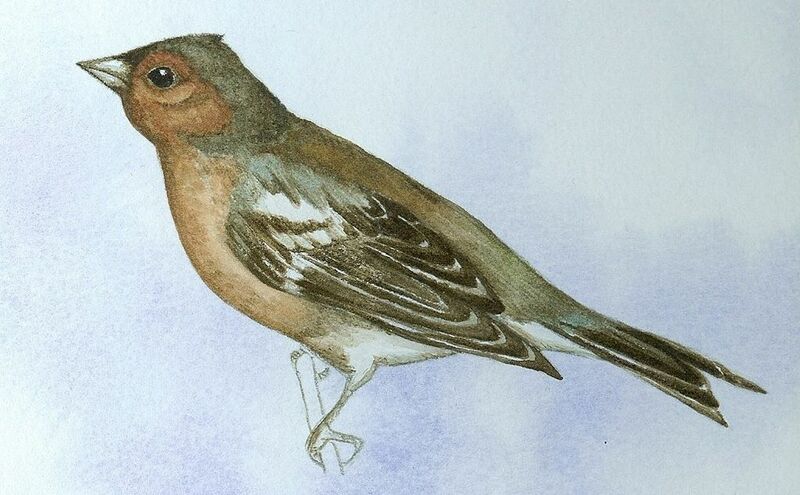 Here are some mono-prints from the latest book, as well as an apple painting and a sparrow. I love working. I’d work just as hard if noone were paying me! My Mum is Irish and when you are being lazy and not doing anything constructive (which is frowned upon) they say you have your two arms the same length. I don’t like my two arms to be the same length and am very restless if I’m made to sit still for long without a book or some knitting or sewing or drawing to do. I don’t find relaxing that relaxing! By Linzee McCrayIn FabricsTagged Designers, Janet Clare, Moda Designers, moda fabrics2 Comments on Welcome, Janet Clare! Next Next post: How Do You Measure Up? what a fun new someone to get to know!!! !